Mathematics – The math portion of the exam covers 2 sections. One, in which you can use a calculator for solving the questions. It contains 38 questions and the time will be allotted about 55 minutes. The multiple choice questions will be 30 and 8 questions of grid type. Second, in which you cannot use a calculator to solve the questions. It contains 20 questions, 15 will be multiple choice type and 5 will be grid type. The time limit to answer the questions will be 25 minutes. Reading – The reading section of SAT covers 52 questions with a time limit of 65 minutes. A paragraph will be given and according to that, the questions will be asked. Some paragraphs include tables, graphs or charts, so study them carefully to answer the questions. Writing and language section – This section of SAT exam covers 44 multiple type questions with a time limit of 35 minutes. A passage contains some mistakes or grammar incorrect and applicants have to find the mistakes and correct them. A software developer and a programmer both belong to the same field of computer sciences, but there is a huge difference between these two professions. Most of the people are confused by the fact that maybe a programmer is the one who can also develop softwareâ€™s, and vice versa. In the technologically advanced world of today, many businesses are starting to take advantage of the power of social media. In most cases, you will be able to have a larger impact on your audience by using social media to advertise your business. For new business owners, using social media to get the word out about their business is the best and most cost effective means of marketing that they can find. In order to be successful in this medium, you will need to develop a media planning guide that details your plan for your social media. 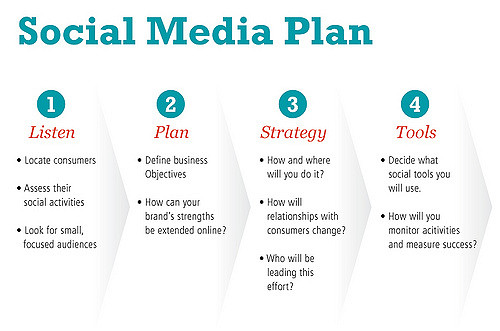 The following are a few of the many benefits that come from planning out your social media strategy. New Free Logo Templates Released! We have added more free logo templates.